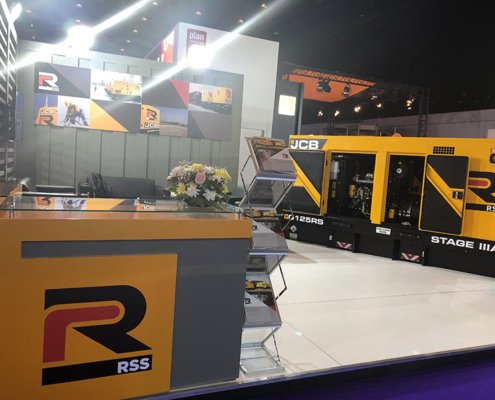 RSS is a leading provider of temporary power and cooling solutions in the Middle East, offering the most reliable and fuel-efficient power generation equipment in the market. 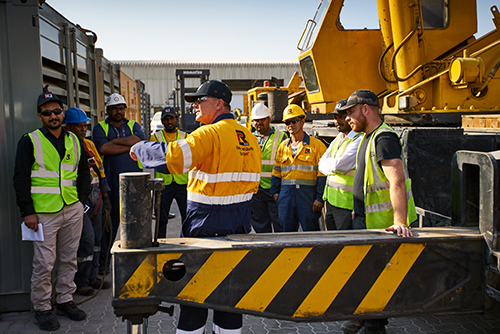 With more than a decade of operations in the Middle East, our team have the market knowledge and experience to deliver bespoke rental solutions and services for all our customers. Our complete package of temporary power, temperature control and district cooling solutions, makes RSS a one-stop-shop for our loyal customers. 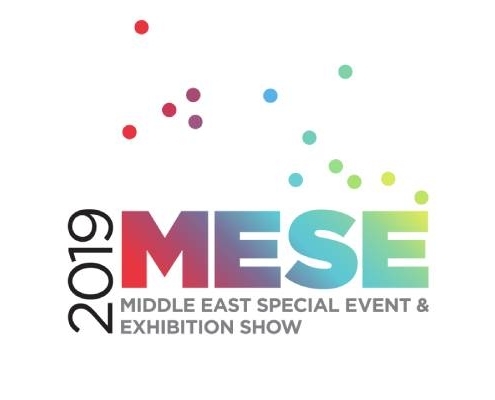 From our offices across the GCC, which include Bahrain, Oman, Qatar, Saudi Arabia and the UAE, we provide engineered solutions to industry sectors such as Construction, Shipping, Manufacturing, Oil & Gas and most recently, Events. 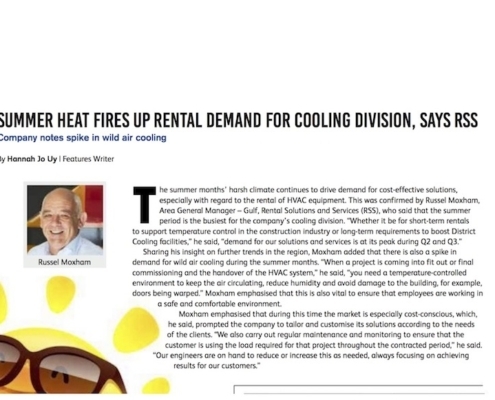 RSS is a one-stop-shop for temporary power and cooling rental solutions and services in the Middle East. We offer engineered solutions for temporary power and cooling aligned to our customers’ specific requirements and technical needs. At RSS, we have a shared goal to deliver the highest quality solutions and services in the marketplace. 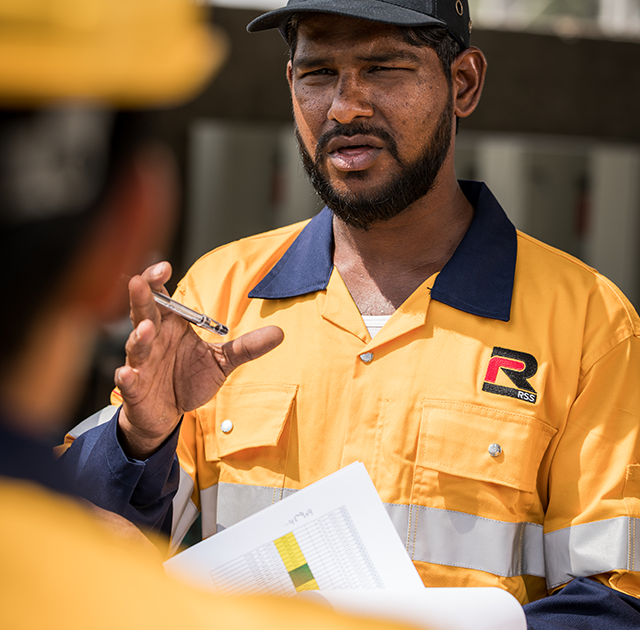 Our strong leadership, technical talent, quality products and dedicated workforce ensures we deliver superior service for every customer, on every project. 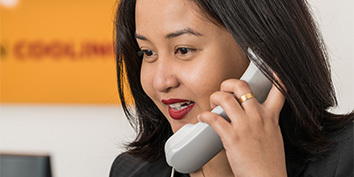 Our customers are our partners and we are committed to adding value to their businesses along every step of the process, from contracting through to solution delivery, all backed up by 24-hour customer care. Our technicians are trained to a high standard to ensure they can cater for the various needs of our customers. Quality, Health and Safety are paramount, but we don’t just adhere to regulations – we go above and beyond to ensure our customers, our colleagues and our fleet are protected. That’s why at RSS, we are self-sufficient. We implement stringent maintenance regimes and standards, carrying out all remedial work ourselves. We’re also accessible, honest and friendly. Partners of RSS become part of the RSS family, with our numerous long-term relationships testament to this. Keep up to date with the latest industry news and find out what’s going on at RSS.